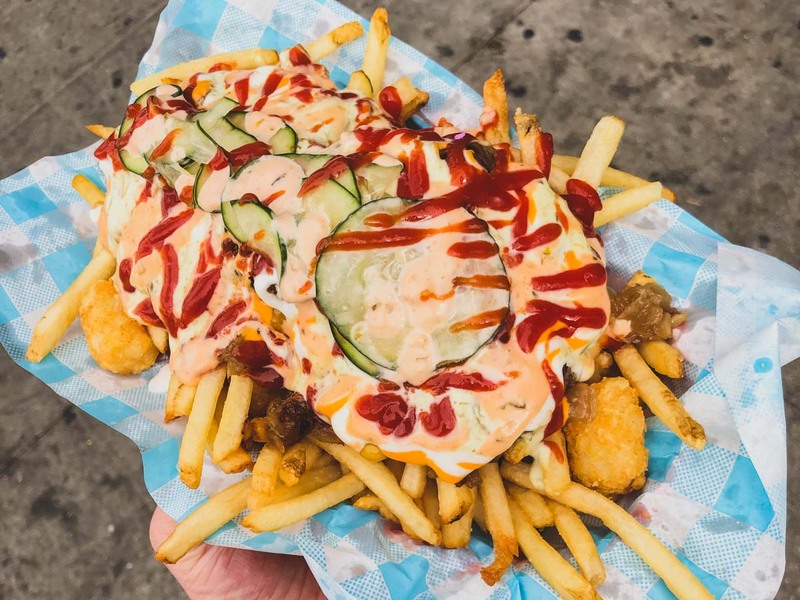 Last year, Monty's Good Burger took Los Angeles by storm, hitting the scene as what's essentially the vegan answer to In-N-Out. Located in Koreatown, the burger shack based their menu around plant-based ingredients and was lauded as a vegan fast food lover's paradise. Guests could find the meatless variation of pretty much any In-N-Out item, including burgers, fries, and floats. Now, like every other popping fast food joint, Monty's is also offering a secret menu item. The Dog Pile Fries features the restaurant's julienne fries and crispy tater tots topped with slices of Follow Your Heart Non-Dairy cheese, grilled onions, pickles, and two Impossible 2.0 burger patties topped with a bevy of savory sauces including a vegan take on Thousand Island dressing. It's fitting with the "Vegan In-N-Out" moniker Monty's has taken on, since this is basically a plant-based version of Animal Fries. To unlock access to this meat-free feast, you simply have to ask for them when ordering at the register. Do so with confidence, and be prepared to tackle this massive pile of vegan goodness. You may need a small squad to brave this formidable secret menu item.